Bonnie S. Carr, PT, MS, IOC, retired since Dec., 2008 and now a consultant, is the founder and clinical director of Balanced Body Gainesville. A physical therapist for over 40 years, Bonnie is one of only a few physical therapists in the country who achieved national certification (I.O.C.) in Orthopedics/Neurology and Polestar Pilates certification, Gyrokinesis® and Gyrotonic® (in May, 2009). Bonnie developed her own method of advanced physical therapy, called Graduated Guided Movement (GGM), which was based on Pilates, Gyrotonic®, PNF (proprioceptive neuromuscular facilitation), manual physical therapy, and her own work in motor control). GGM is the framework for patient care at Balanced Body Gainesville. Nancye Henkle-McPeek, PT, offers more than 21 years experience treating postural and biomechanical dysfunction, including physical therapy applications in women’s health, and over 36 year's experience providing manual therapy for soft tissue and joint dysfunction. Licensed in Physical Therapy, additional training and/or certifications include Massage Therapy; Pilates Based Rehabilitation (2003), Gyrokinesis® (2008), and Gyrotonic® (2009). As a former dancer and current recreational cyclist, she understands the importance of injury prevention in maintaining function and mobility. She recognizes the synergistic benefit of the therapist/client (or patient) team approach to achieve therapy/recovery goals following acute or chronic injury. Sue Pundt, PT. Received her Physical Therapy degree with honors from UF. 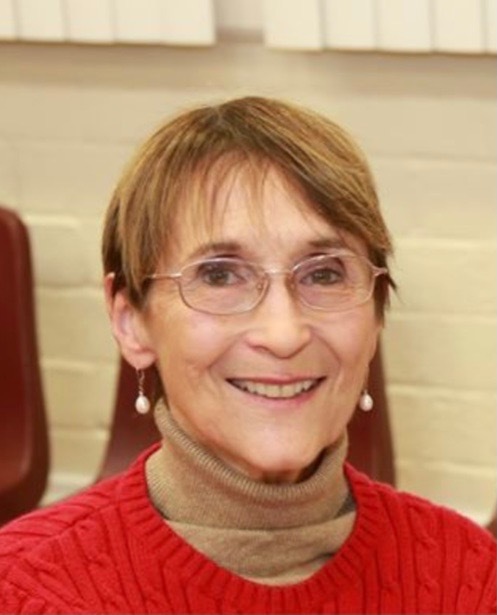 Sue has had extensive post-graduate training and 21 years' experience in manual intervention of soft tissue, spinal and peripheral joint dysfunction, head, neck, and TMJ pain, and lower extremity/foot problems. Polestar-certified in Pilates, Sue has additional certification in Gyrokinesis® and Gary Gray's functional approach. A long-distance cyclist and former runner herself, Sue specializes in lower extremity biomechanical training and rehab of athletic and fitness injuries in adults over 40. Laura Byrne, PT. Received a B.S. in Biology from Denison University and her P.T.degree from the University of Pennsylvania. A physical therapist for 36 years, she has experience in a variety of settings, including neuro rehab, aquatic therapy, and sports medicine. She is certified in Polestar Pilates, Gyrotonic® and Gyrokinesis®. Laura uses these exercise systems, as well as associated equipment, to increase body awareness and improve balance, posture and function. She specializes in geriatrics and aquatic therapy and trains patients in the use of Exerstrider walking poles. Santiago “Chagui” Casanova, P.T., B.S., has 29 years of experience as a physical therapist in a variety of outpatient settings, including orthopedics, neuro, geriatrics, aquatics, sports medicine and Pilates-based rehab. Having completed IPA (Institute of Physical Art) coursework toward Functional Manual Therapy Certification and Polestar Pilates certification, Chagui uses a functional neuromuscular approach to rehab in a Pilates environment. He is also trained in Tai Chi for balance and balance-related disorders. Chagui has studied the martial arts, including Aikido/Tai Chi for more than 35 years, giving him a base for high-level wellness and fitness training. At Balanced Body Chagui specializes in Geriatrics, as well as stroke, Parkinson’s, and other neurological disorders. Janice Dickhaus, P.T, is a highly experienced physical therapist who has treated patients for over 44 years in various settings since graduating from the University of Florida in 1971 with a BS degree in Physical Therapy. Over the years Janice has concentrated on spinal cord and brain injuries, then neurologic and orthopedic conditions and has practiced in both outpatient clinics and home health. Of particular interest to Janice are movement and myofascial disorders; and she has taken numerous continuing education courses in these areas. She also received certification in 2004 from Polestar Pilates in the use of Pilates techniques in rehabilitation. In the past Janice has participated in equestrian sports and was an avid runner and member of Florida Track Club.